At over three hours, Rebecca Frecknall’s production of Chekhov’s play is fantastically detailed and fantastically indolent. In a rootless ne wversion by Cordelia Lynn it drifts, like its thwarted heroines. The performances are rich but also oddly unfocussed, as if the figures on stage are sporadically acting alone. 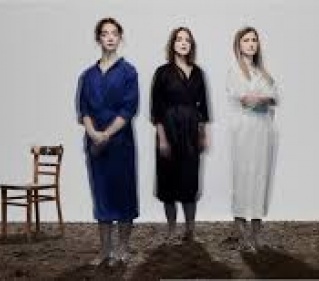 Patsy Ferran, so revelatory for Frecknall in Summer and Smoke at this theatre, makes a watchful, understated Olga beside Pearl Chanda’s simmering Masha and Ria Zmitrowicz’s uninhibited Irina. There is much to enjoy here but the final, remorseless grinding out of all hope at the end feels not only indulgent, but overextended to the point of cruelty. Goodness me, but Enda Walsh likes to put Cillian Murphy through the wringer. Here the writer-director demands of his friend and collaborator a physical and emotional tour-de-force, inspired by Max Porter's novel. Murphy plays a bereaved dad whose grief manifests as an alter ego, the rutting, pecking, hectoring crow of Ted Hughes’s poetry. Clad in a bathrobe and chewing on a microphone, Murphy hops and clatters around the set, across which Walsh’s words scrawl themselves. The first hour flew by faster than anything I’ve seen; the rest lapses into repetition. 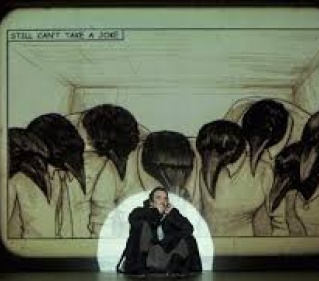 But this remains an extraordinary piece of total theatre, and total actorly commitment. In English National Ballet’s triple-bill of works by female choreographers, Pina Bausch’s The Rite of Spring is the absolute standout. Lissom nymphs in shifts and taut-torsoed fauns in linen pants writhe and rut on an earth-covered stage. The piece pulses with energy, passion and despair. Good job it comes last. The first work, Annabelle Lopez Ochoa’s Broken Wings, is a visually dazzling but rather silly piece about Frieda Kahlo, full of skeletons shouting “Tequila!”; the second, the world premiere of Stina Quagebeur’s Nora – inspired by Ibsen’s Doll’s House – is excitingly dramatic and swooningly danced but unfocused. Full marks to ENB director Tamara Rojo, though, for making the point. 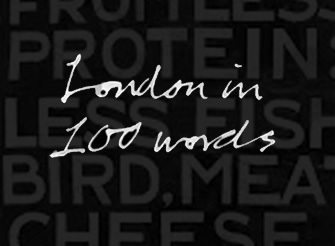 Whisper it, but perhaps Caryl Churchill’s 1982 play is a justly neglected modern classic. Both the anti-Thatcher politics and the formal gesture of three linked stories – one of them a fantasy dinner party for proto-feminist heroines – mark it as very much of its time. In Lyndsey Turner’s production, the opening wine-bar blowout proves the most successful section, its overlapping dialogue richly vivid and funny. The subsequent acts showing hostess Marlene (Katherine Kingsley) as a ballsy businesswoman, then what she has sacrificed, offer too much argument, though both feature a truly extraordinary performance by Liv Hill as Angie, who is written off as ‘dim’. This playful, fiery, rackety, all-female play is a necessary corrective to the airbrushing of women out of history and the art that reflects it, and promotes Elizabethan poet Emilia Bassano as a proto-feminist and – possibly – the dark lady of Shakespeare’s sonnets. First seen at the Globe, where all-male productions were until recently still a norm, it’s great to see it in the West End: even better, crowdfunders are enabling young girls to see it. 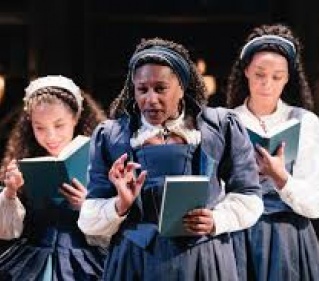 Morgan Lloyd Malcolm’s script and Nicole Charles’s direction are stronger on spirit than subtlety but the cast – especially the three actors who play Emilia over the years – give it welly.